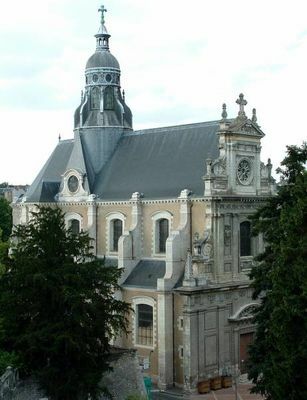 The church Saint Vincent de Paul is the former church Holy Louis of the Jesuits. 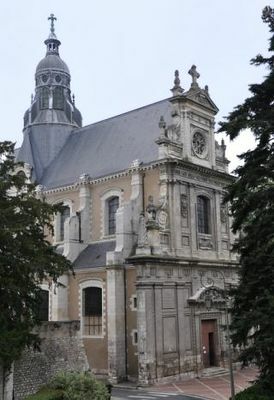 Situated in city center of Blois in front of castle, it is built in the 17th century according to the plans of two architects of the company of Jesus. 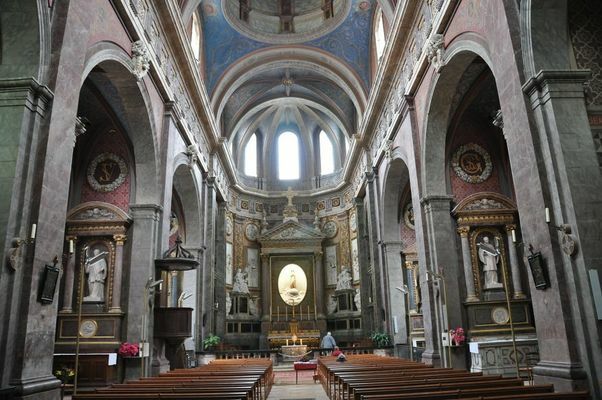 It presents architecture corresponding to the criteria promulgated by it against catholic reform. The slow construction of the building is finished thanks to the donations of Gaston of Orléans. 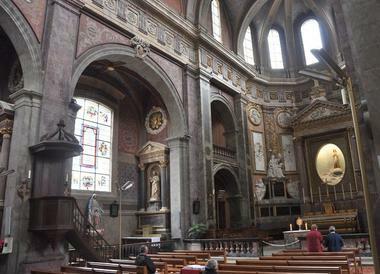 Destroyed during the Revolution, it is returned to the worship in 1828 and restored by Jules de la Morandière from 1847. We discover a typical facade of the Jesuit churches with three floors of Doric and Corinthian order connected by wide volutes. Other remarkable peculiarity, the facade of the building is turned to the southeast. 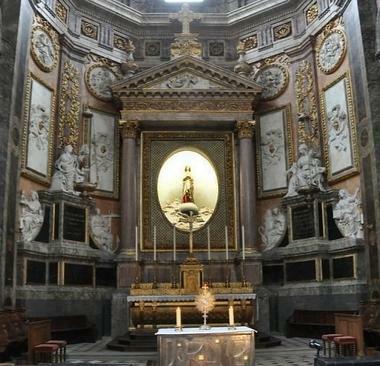 Inside, we observe a decoration painted of the 19th century, an apse in five pieces, an altarpiece sculptured in columns of red marble 1670 and two commemorative monuments raised(brought up) by the girl of Gaston of Orléans, in honour of his father (1677). One of the statues is a profane representation of a young lady of period, the other one an allegory of the Devotion in prayers. 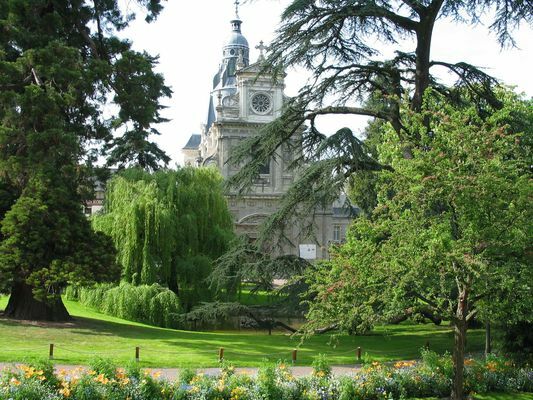 In 1793, the urn which protected Gaston's heart of Orléans was broken and the heart of the thrown benefactor. The Revolution caused regrettably many other destructions as that of the side chapels, the marble stone floor in mosaic, the railing of the choir, as well as the magnificent marble grave in which a Polish princess rested. We got back of this one only two bas-reliefs which decorate a chapel of the cathedral today. There is no review about Eglise Saint-Vincent-De-Paul, be the first to leave one !